BEIJING, August 3, APP – The Foreign Affairs Minister of China, Wang Yi here on Wednesday appreciated progress being made under China Pakistan Economic Corridor (CPEC) project, an important component of The Belt and Road Initiative raised by President Xi in 2013, focused on all-dimensional and multi-level connectivity among the countries in Asia, Europe and Africa located along the traditional Silk route. Addressing the 17th Lanting Forum on the 5th Eurasia Expo, with the theme ” Wide Discussion, Joint Contribution and Shared Benfits, Opportunities and Future of the Silk Road,” organized by China Public Diplomacy Association at the Ministry of Foreign Affairs, Wang Yi said the Belt and Road Initiative is being supported by more than 70 countries as well as international and regional organizations while agreements have been signed between China and 44 different countries with the motive to achieve sustainable development. 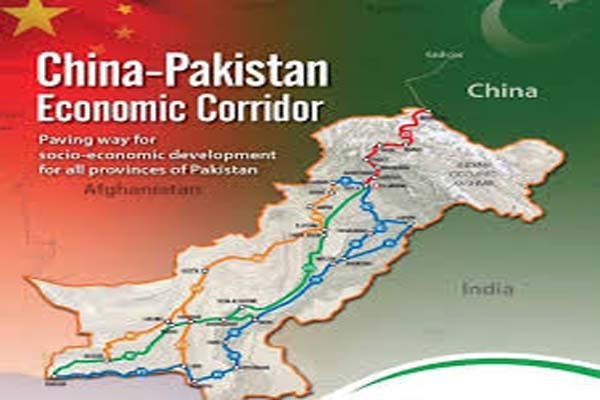 Mentioning CPEC to be on its path towards the process of implementation, he said the Belt and Road Initiative was currently shifting to the details of implementation and scores of projects including joint schemes with different Central Asian and European countries were also in different phases of being materialized. Construction of Eurasia Corridor, the Chinese Minister for Foreign Affairs said is an important component of Silk Road Economic Belt that is being complimented with 21st Century Maritime Silk Road with the motive to promote East – West exchanges and cooperation besides reviving world’s historical and cultural heritage. The Minister Wang Yi emphasizing that “Win – Win Situation” for all concerned countries is the objective, said that regional trade has increased by almost two times among the countries located on the route while Chinese government and the businesses have made significant investments to help boost the economies in the region. People to people contact was further cited to had significantly grown with improved opportunities of scholarships for students, youth and professionals in wide range of fields. He reiterated that an important goal of the Belt and Road Initiative is to ensure the sustainable development of all the economies involved with the motive to help them use their resources with needed creativity and adding value to the same. Through all-round connectivity, the B&R Initiative helps exchange of information, explore market potential, create demand, open fresh vistas for investment and also promote cultural exchanges and mutual learning among the people along the route, said the Minister. Wang Yi said Xinjiang – Uygur Autonomous Region, to host the 5th China – Eurasia Expo in September this year, has become a gateway for China to its west and invited all countries on the route to attend the event and witness for themselves the economic and social development in the region for themselves. It was said to be also an opportunity to join hands for mutual development through innovative and efficient use of available resources in the countries of the region. Shohrat Zakir, Governor of Xinjiang Uygur Autonomous Region also addressed the session hosted by Lu Kang, Director General of the Information Department,Ministry of Foreign Affairs. Presentations were followed by a panel discussion participated by Parviz Daulatzoda, Ambassador of the Republic of Tajikistan to China; Kirill Rudy, Ambassador of the Republic of Belarus to China; Zhang Chunlin, Director General of the Development and Reform Commission of Xinjiang Uygur Autonomous Region and Wu Gang, Chairman, Goldwind Science and Technology Company Ltd.